Does cooking ever feel like a chore to you? That’s how I’ve felt these past couple of weeks… yes, even food bloggers go through our phases where we can’t be bothered to spend too much time in the kitchen! That’s why this Warm 5 Minute Vanilla Flaxseed Cereal is awesome. It’s a quick breakfast that only takes 5 minutes to heat up, perfect for busy (or lazy) mornings! It’s really so simple and yummy – even receiving a stamp of approval from my brother. 😉 Pair it with your morning coffee (or, in my case these days, herbal coffee!) for a winning combination. I was pretty happy last week to be visiting my parents back where I grew up in Fairfax, Virginia, pop into the Walmart I used to shop at when I lived there, only to discover that they now have a lot of vegan options! 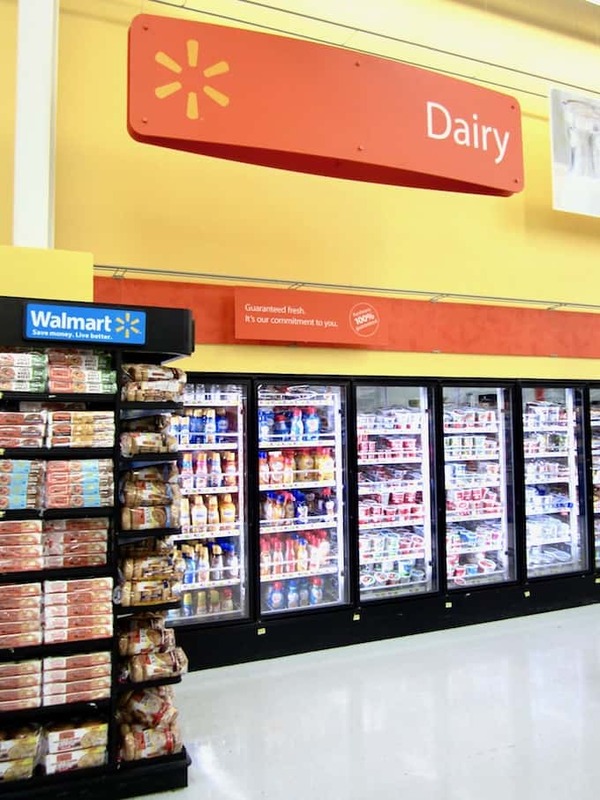 They had about two refrigerators full of JUST nondairy milks and creamers. I think it says a lot about the demand for plant based products when a huge retailer that is in just about every town in America is now carrying these products. YAY for vegan awareness spreading! 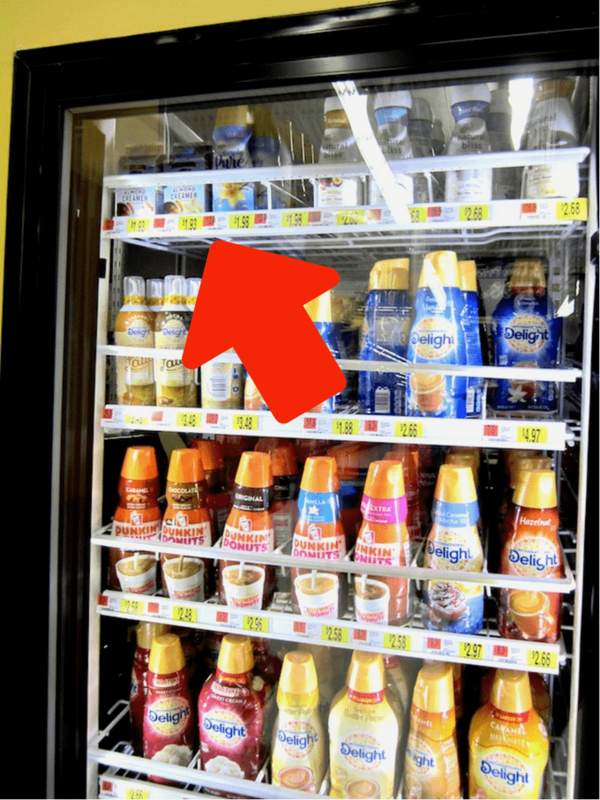 At my local Walmart, the milks and creamers are along the wall, all the way to the left of the store next to the bakery (see second photo below!). I picked up these two Silk Almond Creamers in vanilla and caramel flavors. 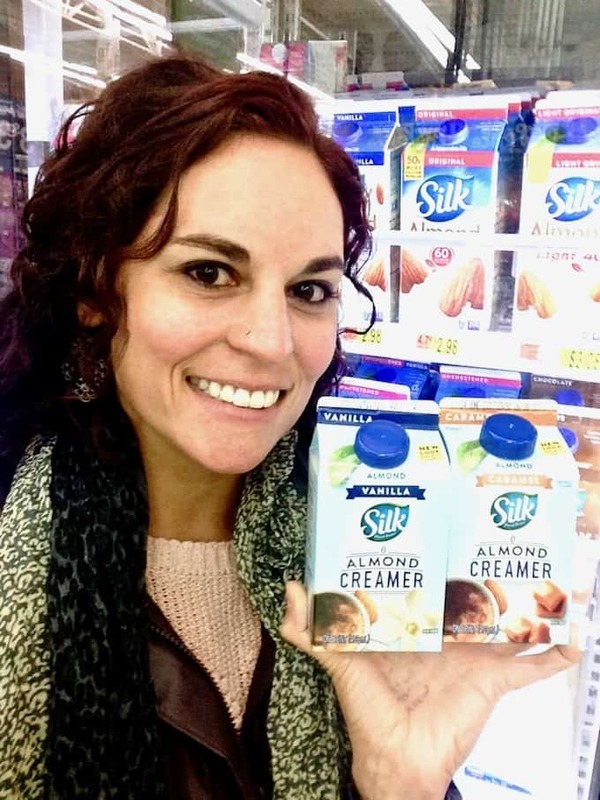 I’ve always enjoyed Silk brand products and was excited to see their new almond based coffee creamers. I typically use plain or vanilla unsweetened almond milk in my (herbal) coffee, but every so often want to indulge in something more interesting. 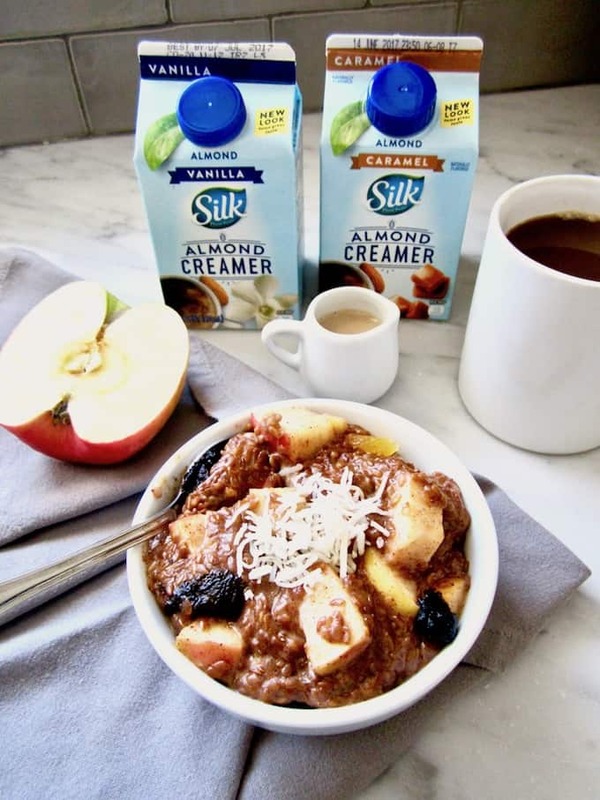 Silk creamers have no artificial colors or flavors and are free from gluten, soy, carrageenan, casein and dairy of course! I think they make a great, everyday coffee creamer – I especially enjoyed the flavor of the caramel one! I had the idea to use the creamer in a warm breakfast cereal, remembering the days of being a kid when my mom would make oatmeal using her vanilla coffee creamer instead of water or milk. Yum. 1) Soak the flaxseeds overnight. In the morning the water will be absorbed and the seeds will be a little slimy feeling, which is totally normal. 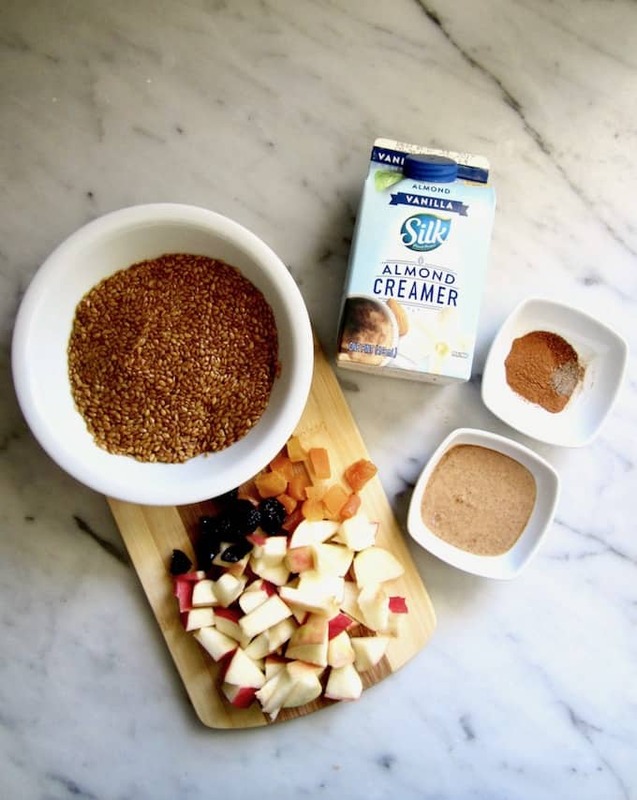 2) Combine the flaxseeds with chopped apple, dried fruit, almond butter, some seasonings and Silk Creamer. 3) Stir for a few minutes, until warm and resulting in a porridge-like consistency. 4) Enjoy immediately, or even save the leftovers to eat cold the next day! 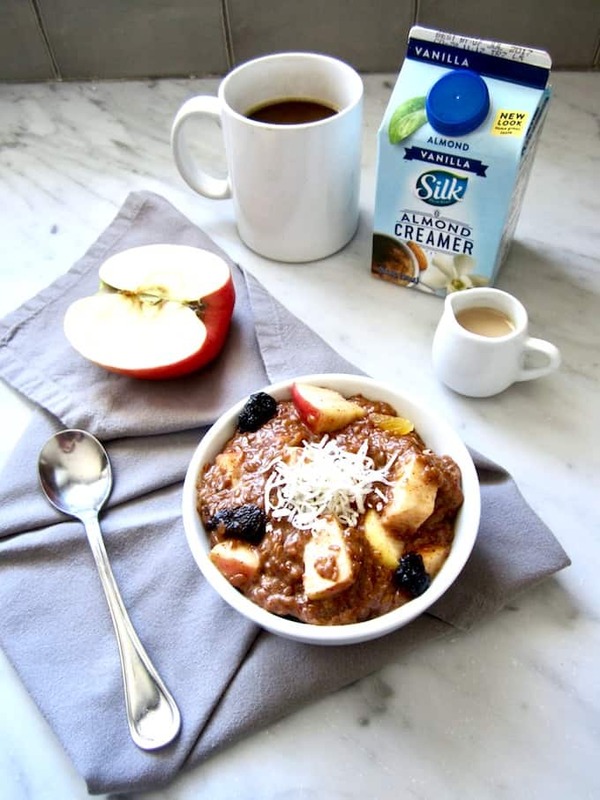 And there you have it – an easy breakfast for any day of the week. 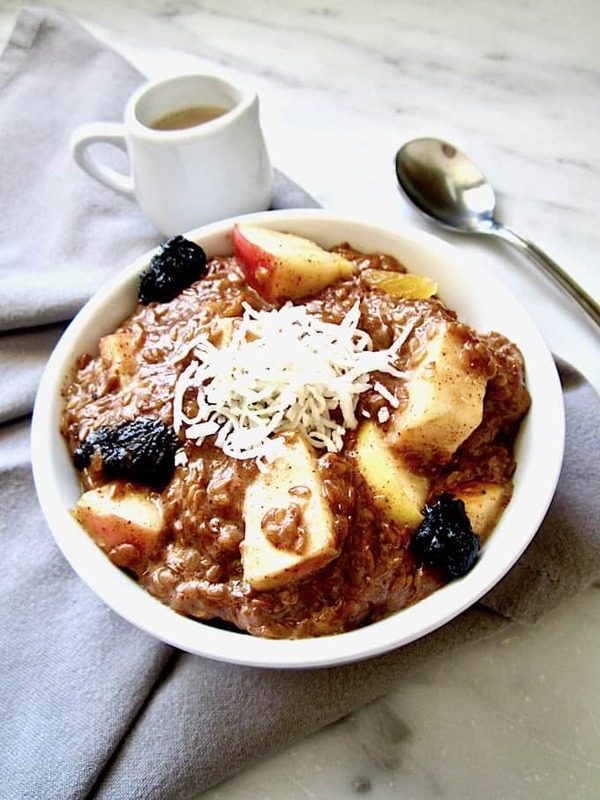 What are your favorite, 5 minute breakfasts? Let me know in the comments below! This warm, creamy porridge comes together in just 5 minutes. 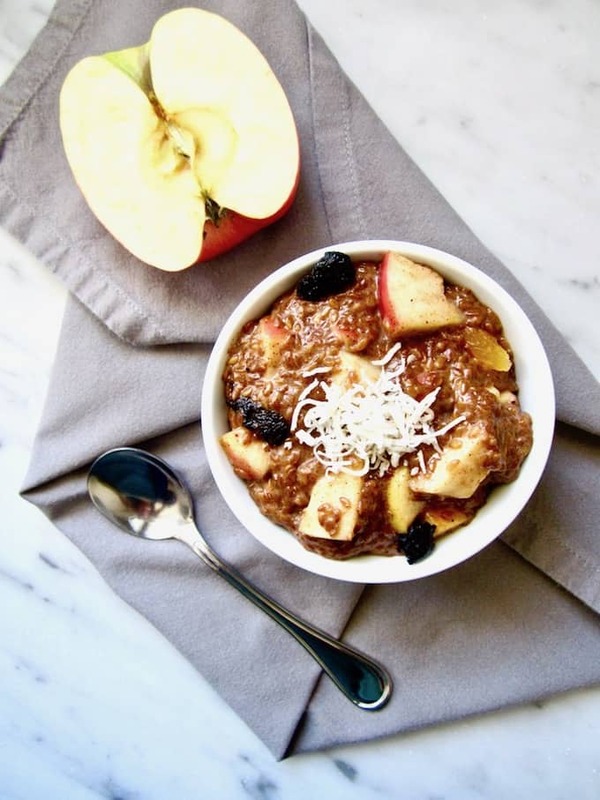 Substitute whatever fruit and dried fruits you want, making this a versatile recipe perfect for busy mornings! 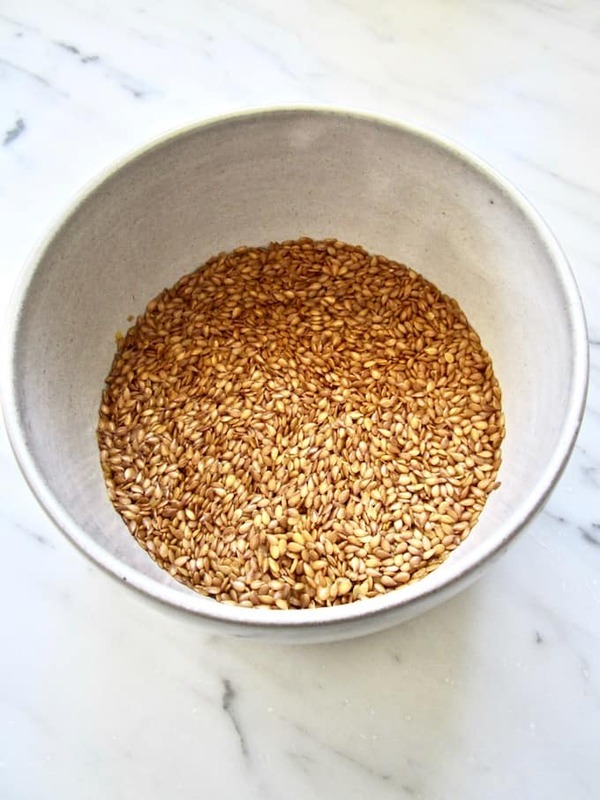 Soak flaxseeds in the water overnight in a bowl, or save a step and soak them straight in the pan (that you will use to cook them in the morning). Cover with a towel if preferred, but it's not necessary. The water will be absorbed overnight and the flaxseeds will feel slimy - that's normal. In the morning, add all the ingredients to the pan on the stove over low - medium heat. Simmer for 3 - 5 minutes, stirring until thoroughly warmed. Enjoy immediately, and save leftovers in the fridge to be eaten cold the next day! Feel free to substitute other fruit for the apple - I think pear, mango, banana or berries would all be really delicious! I've never tried flax seeds before. This sounds like an interesting recipe, looks tasty, too! 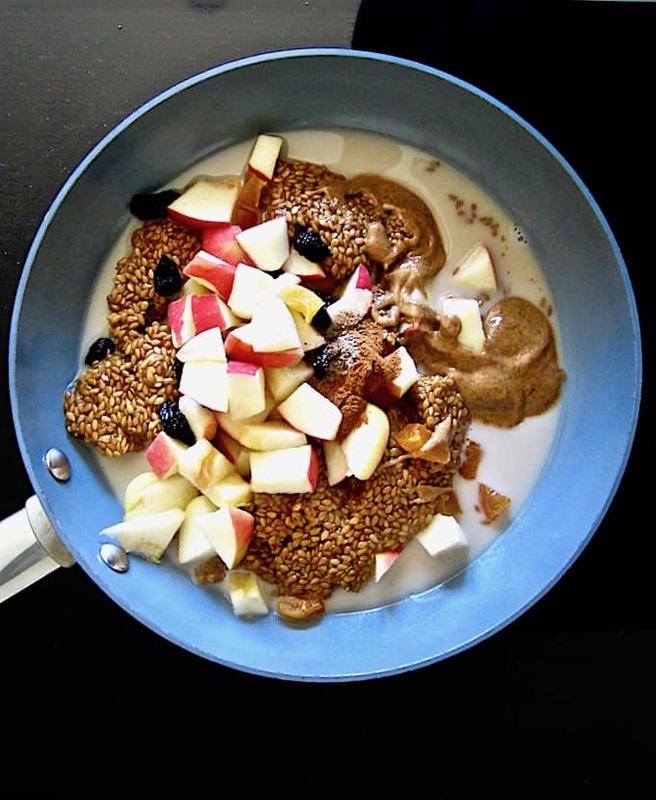 I've never made flaxseed cereal but it looks delicious! Great way to start the day! Ooh you should def try it Emily! ;) Thanks for commenting! Ready in 5 minutes?!? Love! 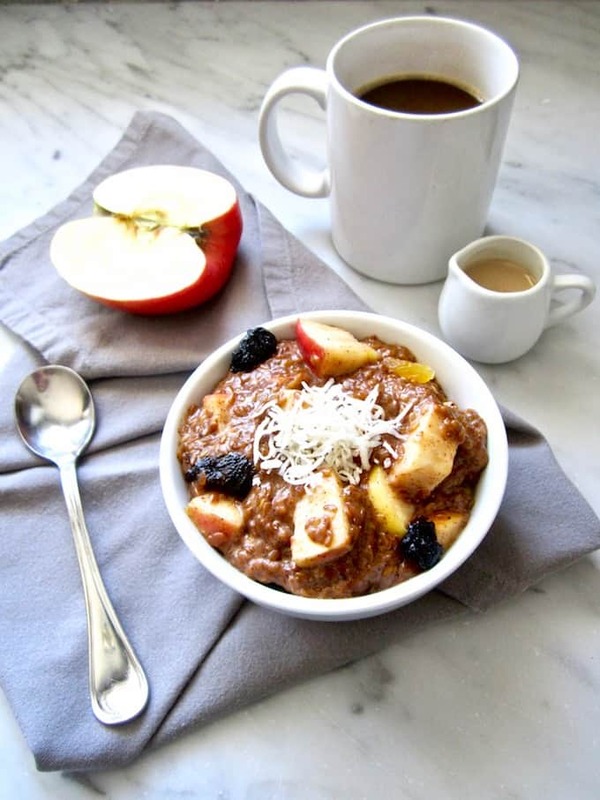 This sounds like such a simple, quick and delicious breakfast...perfect for those busy weekday mornings! Thank you Sarah Jane! Yes, I love having quick and easy recipes for busy mornings! How yummy! 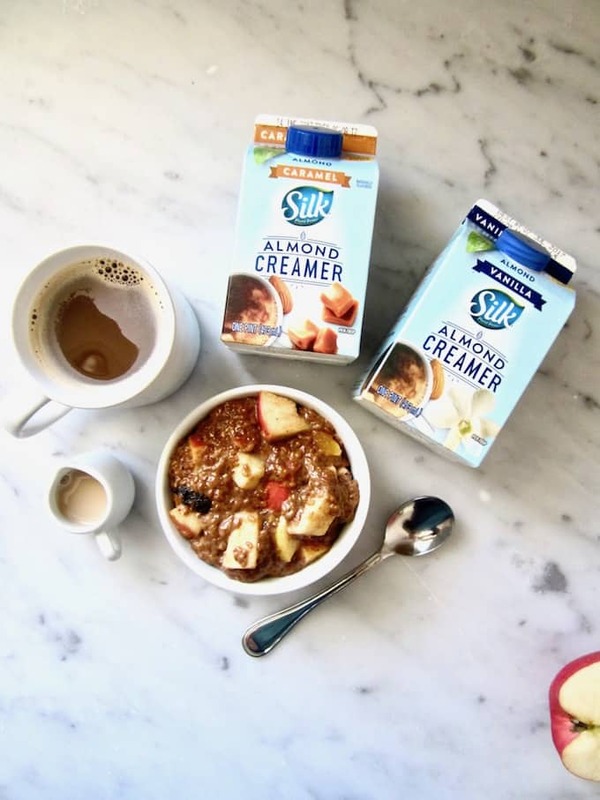 I love the idea of using the flavored almond creamer, so many options! Thanks Kim! It really kicks the flavor up a notch using the flavored creamer! Looks so tasty! I love that it's vegan. I love making my own cereal, I normally make granola but will give this a go as it looks so good. Yay! I love homemade granola but this is a nice change, and it's warm. :D Let me know if you try it! 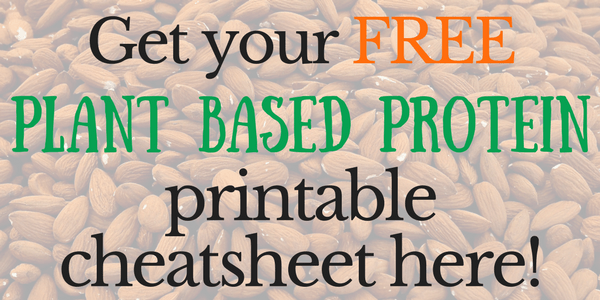 Is it possible to use almond milk instead?